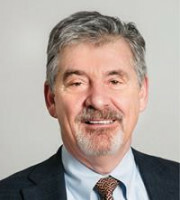 Michael J Dansky, senior vice president at Nathan Associates, Inc, has more than 30 years’ experience in IP strategy, valuation and transactions which have arisen from or been central to dispute resolution. He has assessed, valued, commercialised, licensed and sold IP portfolios in a wide range of industries and in many technical disciplines. As an expert retained in many IP and transactional litigation matters during his 30-plus-year career, he has significant experience with patents, copyright, know-how and trade secrets, as well as accounting and finance. He has testified in state, federal and bankruptcy courts, before federal administrative agencies and in arbitrations on issues involving the valuation of intellectual property, quantum of damages, accounting and financial issues, asset valuation and transactional matters, including the interpretation of contracts and licences. Mr Dansky is an internationally recognised IP licensing and valuation expert, having run licensing and IP businesses at multiple large corporations and managed the litigation process in US and international disputes. In addition to negotiating and executing transactions and drafting many licensing and related agreements, he has performed due diligence for buyers, sellers and financing entities for a number of significant transactions. He has noteworthy experience in troubled company and bankruptcy situations. Mr Dansky was previously a senior executive for Amoco, Xerox and Polaroid. He was also formerly a partner at three international consulting firms, where he led the IP dispute and transaction advisory practices, and the founder of Intellectual Property Strategies, a full-service IP advisory firm. He holds an MBA in international business/finance from George Washington University and a BA in economics and political science from Tufts University, and is a Certified Licensing Professional. The IAM Strategy 300 has recognised him as one the world’s 300 top IP strategists since its inception. He is a member of the Licensing Executives Society and for many years chaired its flagship technology transfer educational programme. He is a former chair of the American Bar Association Economics Committee.